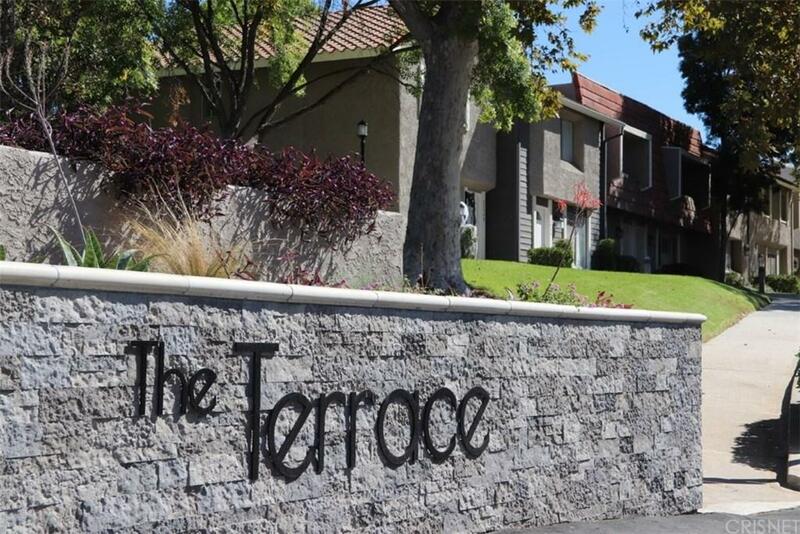 BEAUTIFUL 3 BEDROOM 3 BATH TOWNHOME w/AMAZING VIEWS. Quietly nestled in ?The Terrace? community with heated pool, kids playground and basketball court. Two story unit with no neighbors above or below. Sunlight naturally warms and enters the spacious living room with earth-tone colors and wood laminate flooring. Stairway is against the wall not in the middle dividing the living area like other units making it spacious, comfortable and desirable. Updated kitchen with granite counters, built-in appliances, tile floors, Mahogany colored cabinets and breakfast bar. French doors open to a private quart yard retreat for outdoor B.B.Q?s, lounging and entertaining. Front and rear access. With a 1 car garage and 1 carport this unit is sure to please.